Michael Loncar moves all in preflop for his last 183,000 - at blinds of 10k/20k - and the shorter-stacked Sam Chaccour undershoves, exposes Ace_Seven then immediately realizes Sasha Sabbaghian next to him still has to act. Chaccour quickly turns his cards back over and apologizes profusely. 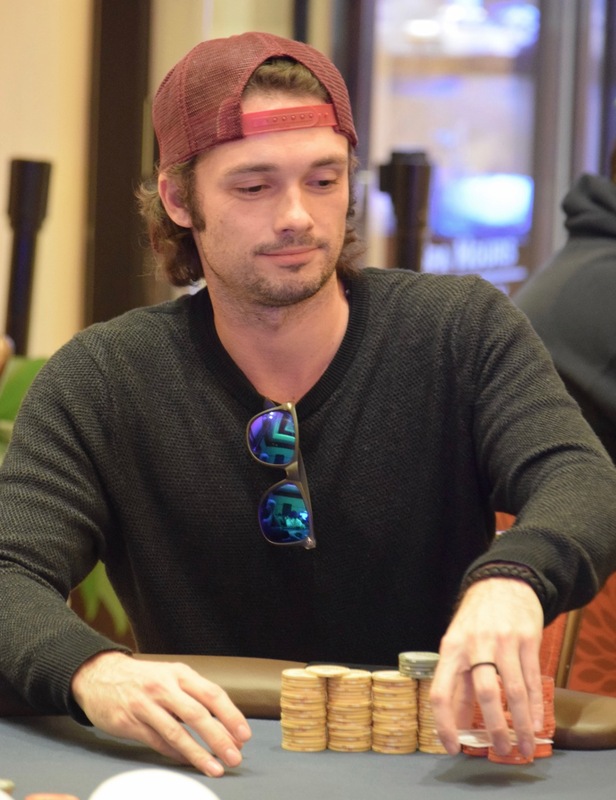 Sasha calls for about 40 percent of his stack with Ace_Jack, Loncar shows pocket Sevens and calls for his hand to hold. Nobody's hand improves, the short stack is eliminated and Loncar gets a photo for his Instagram account.